I’ve been on the natural skin care path for some time now. Raw honey, apple cider vinegar, essential oils, and baking soda are all staples in my beauty regimen. Experimentation is key to this process. There is no one size fits all beauty routine. Recently, I’ve started to experiment with multi-masking. 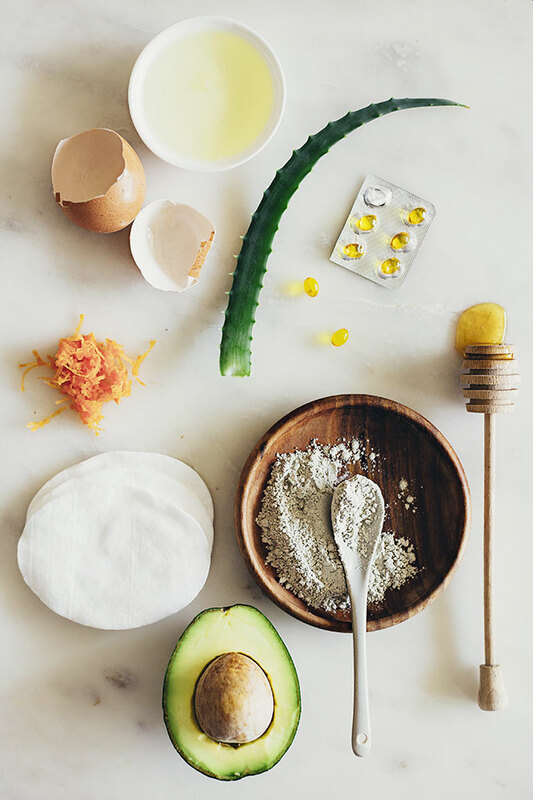 The concept behind multi-masking is simple: Feed your skin what it needs by using different masks at the same time that are specific to each area of your skin. Here’s a crash course in multi-masking with 3 face mask recipes for T-zone, eyes and dry areas. Because you too might want to rethink applying a single mask to your entire face. The t-zone area for many usually produces the most oil and can be the home of breakouts. You’ll want to use this mask on the forehead, chin and nose region, as it’s designed to control oil, fight bacteria and curb acne. Try this Clay and Witch Hazel mask to pull out those impurities, unclog your pores, and tighten the t-zone area. Combine ingredients and stir until blended. Don’t use metal spoons or bowls to mix. Apply to your forehead, chin, and nose with clean fingers and leave on for 10 minutes. Super oily skin types can leave on for up to 20 minutes. The area around the eyes show signs of aging the quickest because this area of the skin has the fewest oil glands, making it prone to dehydration and fine lines. You’ll want to treat the eye area with it’s own powerful mask to best fight fine lines and firm the skin. 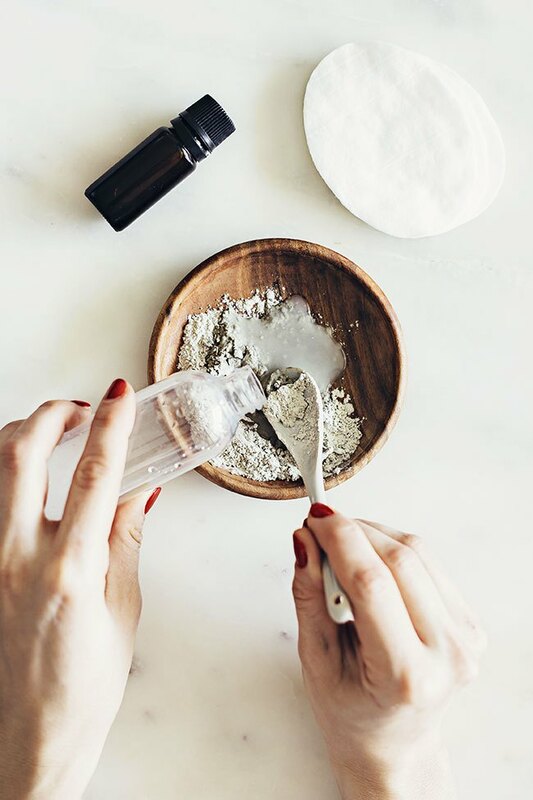 A mask designed to fight wrinkles can be created with just a few ingredients. 1 tablespoon finely shredded carrot. Use a regular carrot, not a baby carrot. Baby carrots loose a lot of their natural nutrients when turned into little nubs. 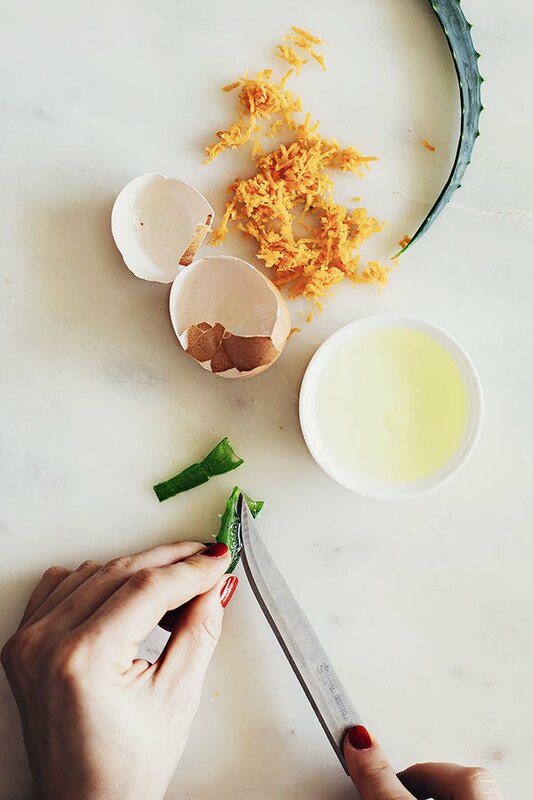 Combine egg white, carrot and aloe vera in a small bowl. Beat mixture together with a fork until frothy (about 1 minute). With clean hands or a brush, apply the mask around and under the eyes. Avoid the eyelids because you don’t want to get it in your eyes. Let the mask dry for at least 15 minutes or up to 30 minutes. You will definitely feel the mask tightening your skin! But if it gets uncomfortable, go ahead and remove it. Use a soft, wet towel to gently clean off the mask. The sections around the outer edges of the face, usually the neck, temples, and outer cheeks, can also be dry and often need extra hydration. Choose a mask that will help retain your own skin’s moisture. 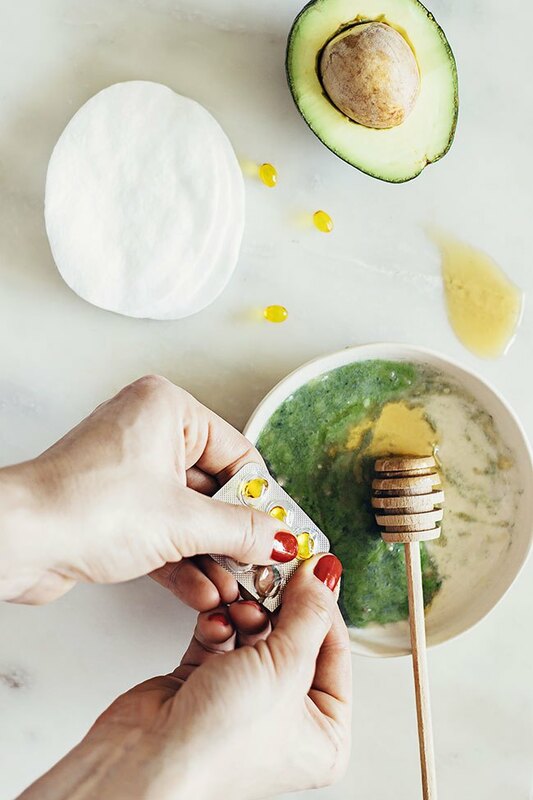 This vitamin E and honey mask will do just that, and the oil from the avocado will be the hydrating boost for those dry patches that sometimes can make the skin feel tight or cracked. Mix all of the ingredients in a bowl and apply to your neck and dry areas for 10-15 minutes, rinse off with warm water.